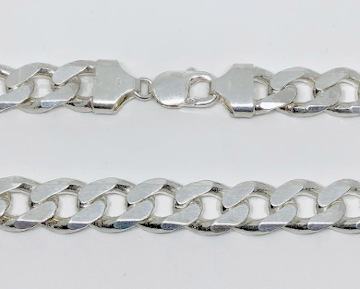 9inch Gents Heavy Sterling Silver Solid Curb Bracelet. Extra Wide Links 9mm Gauge Bracelet with strong quality Silver Lobster Claw Clasp. 205mm length 9mm Width bracelet for Men. UK hallmarked Sterling 925 Silver Solid Heavy weight Bracelet approx. 1oz. 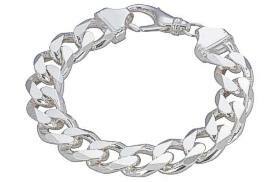 You are sure to impress with Gents Diamond Cut classic heavy Open Curb design Wide Bracelet in 8 inch length.